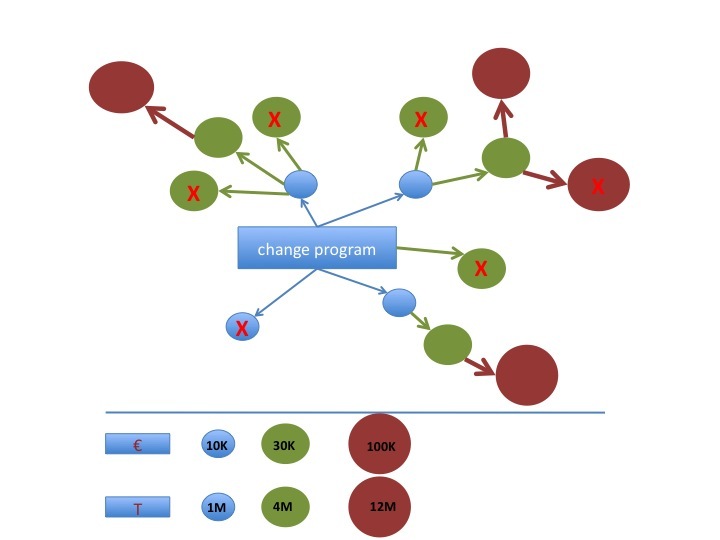 Many organizations fail to integrate the mass user community in their innovation programs. SenseMaker® is a tool which enables you to do just that. Use technology early adopters to co-drive your innovation program to impress the big-mass of regular users. Early adopters are proud people. They love to prove to pragmatists and conservatives the use and fanciness of gadgets and new technology. They also have continuous new idea’s for even fancier and more hi-tech gadgets and functionality. SenseMaker enables you to continuously interact with these early adopters to extract all their combined ideas and innovation opportunities into the Sensemaker database. When this innovation-gathering process is integrated with an agile development environment you are able to bring those idea’s to the early adopters within a few weeks. This very simple mechanism generates 2 major marketing opportunities for your organization. First it gives you a close connection to the early adopters as you prove over and over again you listen and deliver. Your organization can be trusted. The other major advantage is that for the pragmatists and conservatives under your customers, you become this innovative company which is again and again able to surprise the market. A simple and therefore highly effective marketing mechanism. SenseMaker at the heart of your innovation program using the power of your customer-base.